Radio Show's Produced & Compiled by the Team at King of Spins. Shows include Specials from Labels, Like Karmic Records, Featuring DJ's including Knox, Lois Santiago, Mikey Gallagher, all exclusive to Boogie Bunker Radio. Tech House, Bass House, Jackin & Soulful... House music all night long! Radio Show’s Produced & Compiled by the Team at King of Spins. Shows include Specials from Labels, Like Karmic Records, Featuring DJ’s including Knox, Lois Santiago, Mikey Gallagher, all exclusive to Boogie Bunker Radio. 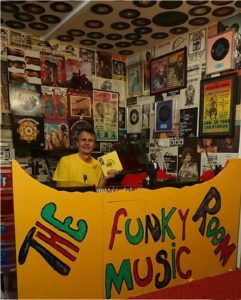 BBR Tenerife 87.7 FM – Something New For Tenerife. BBR FM is Coming to Tenerife!! The Northern Soul Scene (A Contemporary Perspective) By Steve Sayles.